Surfrider members from across the country are preparing to visit Washington D.C. on May 11-14th to urge our federal leaders to protect our nation's oceans, waves, and beaches. Hosted by the Blue Frontier Campaign, the Blue Vision Summit will bring together ocean advocates, scientists, and members of industry to discuss ways to advance marine conservation. 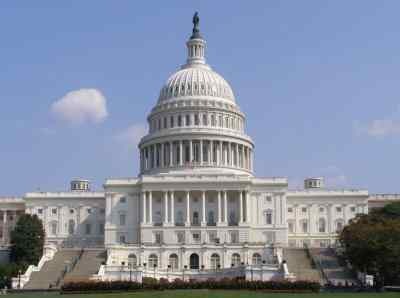 The Summit includes an Ocean Lobby Day on May 13th for attendees to meet with congressional offices about ocean issues. To read more about Surfrider's legislative priorities, please visit our federal webpage. Following the meetings, attendees will convene at 5:30 pm at Union Square for a Hands Across the Sand event to demonstrate opposition to new offshore drilling. The conference program focuses on topics such as offshore drilling, coastal preservation, marine protected areas, and the National Ocean Policy. On Wednesday afternoon, Surfrider represenatives will present on panels on Youth Leadership and Ocean Recreation and Conservation. 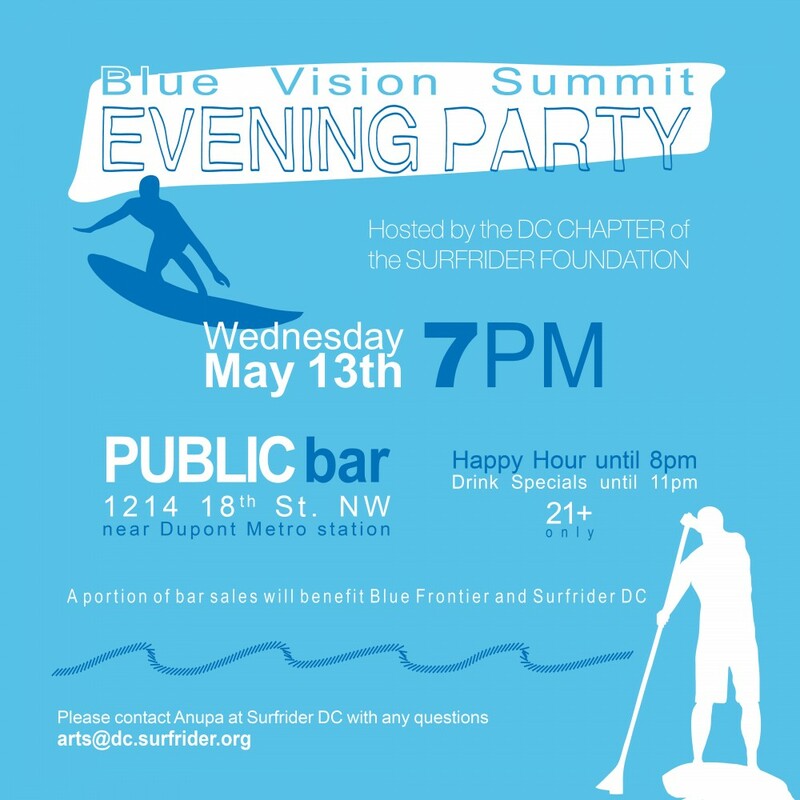 Surfrider's DC Chapter is hosting an evening fundraiser for Blue Vision participants and others at 7pm on Wednesday, May 13th at the Public Bar (1214 18th St NW near the Dupont metro station). Please see flyer below and Facebook event (21 and over). The Surfrider Foundation is one of many ocean groups sponsoring the Blue Vision Summit. Surfrider activists have been well-represented at previous Summits and this year promises to be our largest turnout yet (let Pete Stauffer know if you can attend pstauffer at surfrider.org)! For those interested in attending the Blue Vision Summit, space is still available. To register please click here. Scholarships may also be available for folks looking to cover registration costs. Check the Blue Frontier website for updates. See you there!